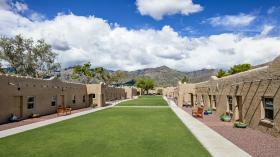 The top executive rehab centers accommodate busy schedules and otherwise cater to the needs of CEOs or celebrity personalities. These executive rehab facilities are ideal because they allow residents to participate in their work duties and interact with their clients, even during treatment. Inpatient rehab programs are beneficial because they provide 24-hour care as well as some separation from normal day-to-day life. Inpatient settings are ideal for those who face numerous temptations in their everyday environments. For busy executives, these programs may also provide a much-needed respite from many of the stresses of a fast-paced business life and a chance to place their focus on getting sober. Executive programs, however, do not completely force a removal of the executive from their business during treatment. The individual can engage in treatment but still attend to some of the operational needs of the company and keep a presence in the business. Recovering executives in treatment at one of these facilities may also make connections with others they can relate to on a professional level and with whom they can share their struggles with substance abuse. How Does Inpatient Differ from Outpatient? Inpatient facilities require patients to live at the facility to best provide them with 24-hour supervision and care. This means that no patient will ever have to go through any part of rehabilitation without the round-the-clock care and support of the treatment team, as well as that of their peers. Outpatient programs allow patients to continue living at home. This allows for the continuation of work, school, and other activities outside of treatment hours. The level of care in an outpatient program is less intensive than inpatient, however. Fortunately, an executive inpatient rehab offers both the higher intensity of care and the ability of the executive to continue fulfilling some of their professional responsibilities while living at the center. This means outpatient is not your only option if you are a high-profile CEO or business leader. Rehabilitation for executives is private and confidential, as it is a medical treatment. Anything you say to your doctor or therapist will not be shared unless you give your express permission. The privacy afforded by an executive rehab center can give you a chance to get healthy without worrying about your reputation. Substance addictions treated by inpatient executive and luxury rehabs aren't limited to the above. Some programs may even be able to treat both substance addictions and mental health disorders (i.e., dual diagnosis treatment). Some programs will also offer medical detox, where you can ensure you are safe in the hands of professionals as your body withdraws from substances and adjusts to sobriety. Make sure to select a program that meets your unique needs. As a high-profile executive with employees who depend on you, you may feel uneasy about leaving for an inpatient stay, especially for a duration of 3 months or more. However, consider the cost of not getting help: you could spiral further down into your addiction, irreparably harm your health, destroy your relationships, or ruin your finances. Also consider that you aren't at your best when you're impaired by substances and that your company will run better when you take the time to get healthy. Your company will run better when you take the time to get healthy. Attending an executive program affords you the opportunity to stay connected to your professional life while taking time to learn how to live without drugs and alcohol. While it may be hard initially to swallow the idea of going away for a period of weeks to months, in the end it may save your business, your reputation, and even your life. Exactly what your treatment will entail will depend entirely on your personal situation, including what substances you abuse, how long you've been addicted, whether you require medical detox, your mental health, and previous treatment attempts. Detoxification provides a safe environment in which to withdraw from substances.2 For many people, detox is the first priority and sets the stage for their recovery. Executive rehabilitation is a specialized type of care. These centers focus on the needs of high-profile patients and provide the privacy needed to prevent you from suffering a hit to your reputation. Rehab programs that cater to the executive or celebrity client is likely to be more expensive than some other programs. Amenities may be similar to those found in a luxury program, and often rooms are private, upping the cost. Often these programs are situated in scenic locales, such as near the beach or in remote mountainous locations. You may pay a premium for a program in a setting like this, as well. The cost of an executive program may be worth it for you, however, if it keeps you meaningfully connected to your business and protects your privacy and reputation. And of course, your life is worth more than any monetary amount. If the cost of treatment is too big of a burden to bear upfront, you may look into financing options, healthcare loans or credit cards, and even scholarships. It's also likely that your insurance (if you have it) will cover at least some part of your stay. When you're looking into programs, have your insurance information with you; staff at the center may be able to input your info and give you an estimation of what your financial responsibility will be. It's often tempting to stay near home during treatment, especially when you want to be close to your business. However, your number one priority should be your recovery. Many people find that getting away from their hometowns for rehab gives them a chance to focus on their sobriety away from all the people, places, and things they associate with their use. Remember, you can keep online and phone contact, and you won't need to be in your city to utilize the resources and executive rehab offers. There is always help available for drug or alcohol addiction, no matter your situation. Don't let addiction steal any more from you. Reach out for help and begin your recovery. Center for Substance Abuse Treatment. Substance Abuse: Clinical Issues in Intensive Outpatient Treatment. Rockville (MD): Substance Abuse and Mental Health Services Administration (US); 2006. (Treatment Improvement Protocol (TIP) Series, No. 47.) Chapter 4. 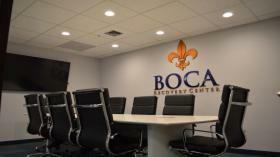 Services in Intensive Outpatient Treatment Programs. Center for Substance Abuse Treatment. Substance Abuse: Clinical Issues in Intensive Outpatient Treatment. Rockville (MD): Substance Abuse and Mental Health Services Administration (US); 2006. (Treatment Improvement Protocol (TIP) Series, No. 47.) Chapter 5. Treatment Entry and Engagement. McKay, J. R. (2009). Continuing Care Research: What We’ve Learned and Where We’re Going. Journal of Substance Abuse Treatment, 36(2), 131–145.